Among Orcutt’s 65 victories were 10 Women’s Metropolitan Golf Association Championships (the first and last of which were separated by 42 years) along with six New Jersey Amateurs, seven Women’s Eastern match-play titles, five Metropolitan Seniors, three North and South Amateurs, two U.S. Seniors and two Canadian Amateurs. A lifelong member of White Beeches Golf & Country Club, Orcutt finished second in the White Beeches men's club championship at the age of 17. 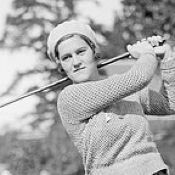 From 1932 to 1938, Orcutt played on the U.S. team in the first four Curtis Cup matches. She was the runner-up in the U.S. Amateur in 1927 and 1936. As a journalist, she covered women’s golf for five publications including The New York Journal. In 1969, she received the first Tanqueray Award for contributions to amateur sports. She was elected to the New York Sports Hall of Fame.